The original SP2016 introduced the concept of ‘plug-ins’ to a perplexed pro audio world way back in 1982! Revered for its signature reverbs by mix and recording engineers like Mick Guzauski, Roy Hendrickson, George Massenburg, Dave Pensado, and Allen Sides, to name but a notable few, the SP2016 can be heard on countless hit records, from Madonna to Mariah Carey and Adele to Emimen. Precisely modelling every aspect of those hardware units was neither quick nor easy, but today the must-have sonic beauty bestowed by these reverb classics can be applied to anything — in-the-box or live. • Three distinct reverb types, each available in two versions: Vintage and Modern. The Modern algorithms are brighter, more diffused, and use higher bit resolution. • Room: Basic no-nonsense, no-frills ambient ‘room.’ The extreme pre-delay range makes it possible to use this effect for reverberant doubling and single echoes. • Stereo Room: Recreates the ambience of a large concert hall, with very clear, natural reverberation. • Hi-Density Plate: Plate reverb with dual pickups simulating the effect of a big, heavy plate allowing users to make vocals, guitars, and percussive instruments appear much bigger and brighter than they actually are. • Unique Position control allows users to take their listeners from the back of the room all the way to the stage while retaining all of their other settings. 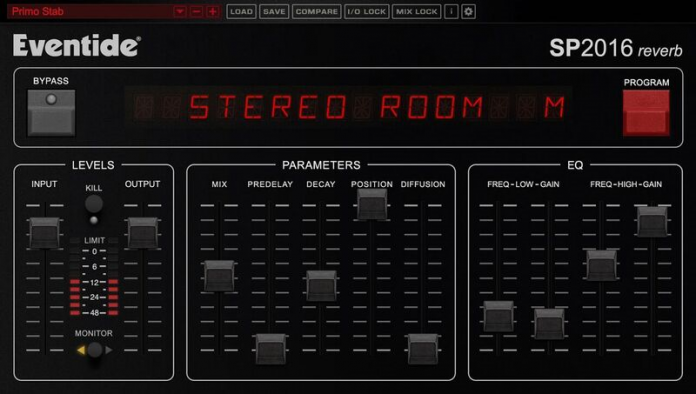 • Control the structure of the reverb by fine-tuning the controls — including PREDELAY, DECAY, POSITION, and DIFFUSION. 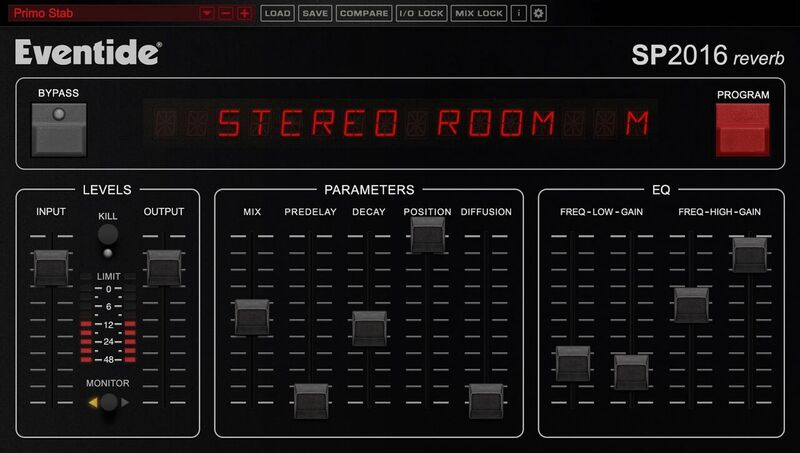 The EQ section allows for simple high and low filtering of the reverb with adjustable filter ranges. The low filter can be used to cut or boost at the specified frequency. 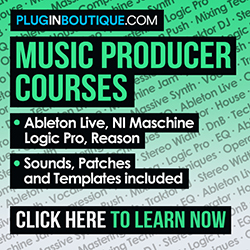 • Boasts a variety of artist presets including some by Dave Pensado, Joe Chiccarelli, Richard Devine, Sasha, George Massenberg, The Butcher Bros., Buda &Grandz, Erin Tonkon, and more. The new SP2016 Reverb (MSRP $249.00 USD) is available as an AAX/AU/VST plug-in for Mac and PC at a promo price of $79.00 USD thru October 31, 2018. Owners of Eventide’s 2016 Stereo Room or Anthology XI can cross-grade for $29.00 USD during the promo period.